I know some people who share every detail about their personal lives on social media. For those peeps, online privacy is not a big deal. For the rest of us though, there is a certain degree of privacy that is still important to us. Each person has their own threshold for what they are willing to share online. In my opinion, it’s no longer acceptable to blame social media sites for our lack of privacy. We each have to take responsibility for what we share online. My personal rule of thumb is that if I share it, even to a limited audience, I have to assume that everyone will see it. If I don’t want the whole world to see it, I don’t post it. To me, any other way of looking at it is risky. It’s not always common sense to know what is okay to share online and what isn’t. I read a very good article today called 6 Things You Shouldn’t Post To Social Media If You Care About Privacy. I recommend reading that post if you are unsure about what to avoid posting on social media. As we all know, Facebook has been a big problem for a lot of people when it comes to privacy. This infographic called How To Stay Safe On Facebook by WhoIsHostingThis is full of important tips regarding your privacy on that particular site. The interesting thing to me is that so few people really look into their privacy settings on any social media site, and yet many times, those are the same people who complain about their lack of online privacy. Here in the States, people used to trust their medical doctors implicitly. Over the past several years, we’ve learned the importance of taking responsibility for our own health, and we don’t depend on someone else to make our health a priority. Online privacy is very similar. With so many social sites now, it’s no longer enough to just cross our fingers and hope that our personal information will be safe. We have to take a proactive role and take responsibility for keeping ourselves safe. If we don’t do it, nobody else will. I think this is especially difficult to teach children. We tell them not to talk to strangers, yet they see us tweet people we don’t know every day. The line between what is safe and what isn’t safe can get blurry sometimes. Hopefully the basic tips in this useful infographic will help. If you are one of the 640 million people on Facebook you are well aware that features, layout and many other things have been changing at a rapid pace. One of the more recent changes is the new personal profile layout which allows you to select five of your own photos to display in the “photo bar” at the top of your profile. Thanks to a tweet I found a handy tool that will allow you to take one photo and display that instead….see my personal Facebook photo bar below. Since I’ve had so many friends ask me how I did it, I figured it was worth a blog post. This free tool will allow you to easily create customized Facebook banner for your personal profile. Sadly there is no such option for creating custom banner for Fan Pages (at least as of the time this post is written). If you know of something that I haven’t been able to find please do share in the comments below. Here are some other posts I’ve written that may help you with some of the other changes Facebook has made recently. What other things are you struggling to understand with Facebook? Let me know and if I know the answer, I’ll share. PS: Are you a Fan of Your Virtual Assistant on Facebook yet? 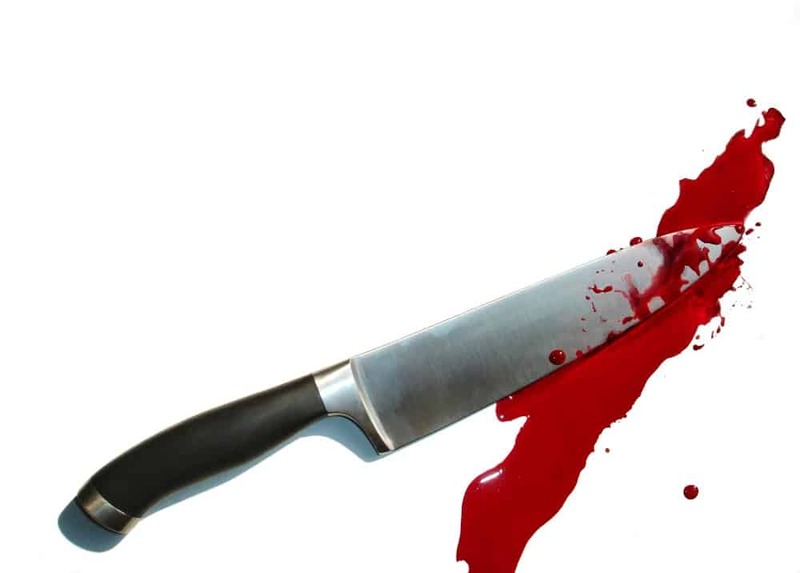 How to Slice, Dice and Murder Your Social Media Campaign …. Let’s establish some general “rules”. The screenshot above is a message I received in my inbox on Facebook from a group that I joined apparently. Threatening removal from a list — it is a free world and we are allowed to chose who we allow into our “bubble”. If at some point I decide I don’t “want” to be your friend then I can remove you, block you, unfollow you, etc. But never, never threaten….just do it! You don’t need to explain it. We all have personal agendas. Things we will never disclose publicly and if we do, we may be vague about it. This week I am concerned about finding a chiropractor because my hip is bothering me. A family member who had a kidney transplant yesterday. A friend who is leaving her husband. Another friend who is getting a divorce. A son who is two months behind on an appointment he needs for his liver disease. Behind in my “normal” schedule because I was out of the state four and a half days last week for my brother’s wedding. And on, and on, and on. So you bet….we all have a personal agenda. And our agenda may not include voting for you to get a job. Nothing personal. Nothing malicious. We just may not have the time to click twice to submit our vote. As some wise person said, “Learn from the mistakes of others; we can’t possibly live long enough to make them all ourselves”. Learn from this unfortunate incident and do not make the same mistake for yourself or any clients. Have you seen similar bombed social media campaigns? Share them in the comments below. Update March 10, 2011: Due to Facebook changes the Static FBML app is no longer available so the instructions below will not work. Please visit this post on V3 Integrated Marketing’s site to get other free Static FBML alternatives. If you have a sign up form on your website to capture names and have a Fan Page bring them together! Create your desired form in Aweber and then go to edit your Fan Page. Paste the HTML code into the FMBL box and save. Go back to view your Fan Page and you should see the form under the “Boxes” tab at the top. You are done! I would imagine you could also add this form to your customized landing page, if you have one. The ironic part of it is that I rarely check my Google rankings and have been trying, for some time now, to get listed higher for Social Media Virtual Assistant. While I’ve moved up significantly (from #28 to #7) in that area due to great SEO work and tips from my SEO guy, Joseph Kohli with Kohli Consulting, I don’t really check my results as often as I should. So when I was tipped off by someone who had found my blog post on how to Add a Twitter Icon to your Facebook Fan Page I asked her how she had found my post. She told me it was because I was the first result she found when she did the search in Google. Joe and I have similar situations in which we do more than one thing that may seem to be “worlds apart” – what does Social Media have to do with QuickBooks and bookkeeping? Or in Joe’s situation QuickBooks and SEO? Nothing really but it just so happens that I love both bookkeeping and Social Media and love to be able to offer both of those services to my clients. What I am doing today is writing one blog post at a time, learning one new skill, building existing relationships and beginning new ones, will eventually produce residual effects in my business and personal life. Hopefully as I do this I will continue to rise through Google’s index to be one of the top three listings for Social Media Virtual Assistant. Having my instructions on Twitter icon/Facebook come up first certainly will guarantee visits to my website. Now I ask you….what Jawar asked….What are you doing today, even if you don’t see results for another 36 months?